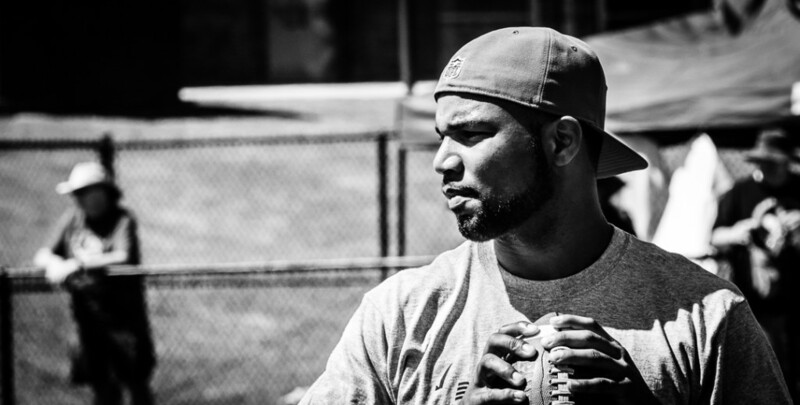 Golden Tate by Tony Lafferty Photography. 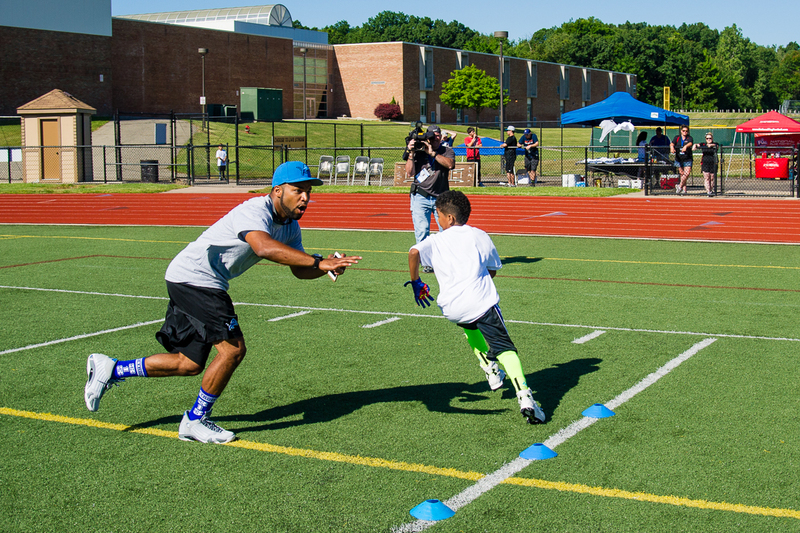 Recently I was asked to shoot the Golden Tate Football Procamp by Procamps Worldwide. These camps are fantasy sports camps featuring world class athletes as hands on coaches for the day. The camps are always a great time for both the kids and me. The campers get to meet their sports heros and to be taught not only the sport of choice, but more importantly, sportsmanship and how to be a team player. The idea is to not only to create great sportsmen and sportswomen out of the kids, but to teach them about community and to build strong values in them individually too. Campers are formed into teams based on their ages and are put through multiple rotating drills that teach the core skills needed to be proficient at the sport of the day. At the Golden Tate Football Camp, Golden Tate was of course, the pro athlete coach of the day. He would spend time with each team, greeting and talking with the kids one on one giving them pointers on the particular drill they were working on. Golden’s enthusiasm with the kids was inspirational. He would “High-Five” the kids as they went from drill to drill and would often play one on one with many of them. 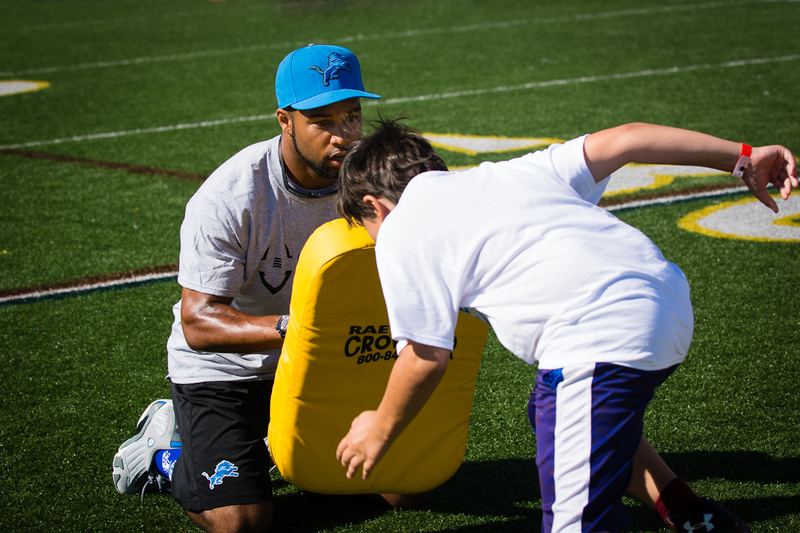 The campers were all excited to work with the famous Detroit Lion and to learn from his vast experience. As I am sure you could guess, Golden Tate is not the type of team player to let them down! Mr. Tate makes a great, personable, friendly and caring coach, if only for the day. A very admirable young man and an inspirational role model for the children. Event photography by Tony Lafferty Photography is only one of our many lines of photography services. What can we do for you? Tony Lafferty Photography – “When Ordinary Photography Just Won’t Do! Ready to Create Magic Together? Let’s Show Off Your Story!